Twelve new demolition orders were delivered at houses in the Salfit village of Deir Ballut on June 15th, 2009. The papers were left at their homes, most of which are still under construction. Two of the homes are already occupied. Five of the homeowners have a court hearing on July 5th, 2009 and seven on July 16th, 2009. Lawyers have told the families that they must make an application to the Israeli authorities for building permits before the court dates. 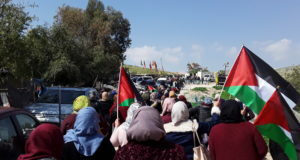 The reason given for the demolition orders is that the homes do not have the required permits for construction in Israeli-controlled Area C. However, not all houses in Area C in Deir Ballut have building permits, nor have they all received demolition orders. 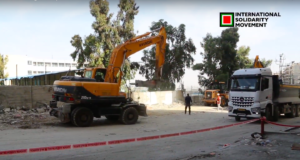 Deir Ballut’s mayor said he believes new demolition orders were delivered to these twelve houses because they are located near the planned route of the Wall. In November 2006 Deir Ballut received a notice from Israel informing them of construction of a section of the Wall east of Deir Ballut and south of the neighbouring village of Rafat. 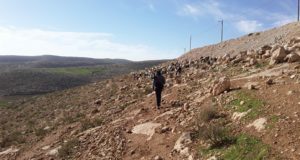 This will cause Deir Ballut to be completely surrounded by the Wall, and its farmers to lose more than half their land. In 1948 the village lost more than 15,000 dunams of land. In the first phase of the Wall construction the village lost 6,000 more dunams. Forty-one houses in Deir Ballut now have outstanding demolition orders against them.